Stream Restoration and Enhancement Projects: Is Anyone Monitoring? Declines in salmon stocks and general watershed health in Washington State, USA, have led to an increase in stream restoration and enhancement projects initiated throughout the state. The increasing number of projects has also raised questions regarding the monitoring of these efforts. Project managers receiving hydraulic project approvals (HPAs) were surveyed to determine whether monitoring was taking place on their projects. About half the project managers surveyed reported the collection of baseline data and the use of biological, physical, chemical, or other water quality measures for their projects. Of those who reported collection of monitoring data, only 18% indicated that monitoring was required. Respondents were also asked to rank the importance of various project goals on a Likert scale. Project managers with projects focusing on “engineering” goals (e.g., roadbed stabilization) were less likely than other project managers to collect baseline monitoring data. 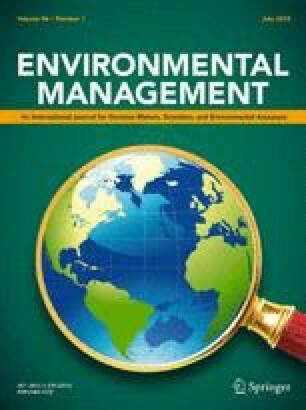 Project managers with projects focusing on “restoration/ecological” or “fisheries” goals were more likely than other project managers to collect monitoring measures. Although monitoring appears to be taking place in slightly more than half of the projects surveyed, the nature of the data collected varies widely across projects, and in most cases the monitoring effort is voluntary. This suggests that project sponsors, funders, and managers must consider the issues involved in requiring appropriate monitoring, establishing standardized monitoring guidelines, the time frames in which to monitor, providing other incentives for conducting monitoring, and ensuring adequate funding for monitoring efforts.